To monitor FECs, you can use a suitably equipped and trained vet practice, a commercial service, or adopt a DIY approach. 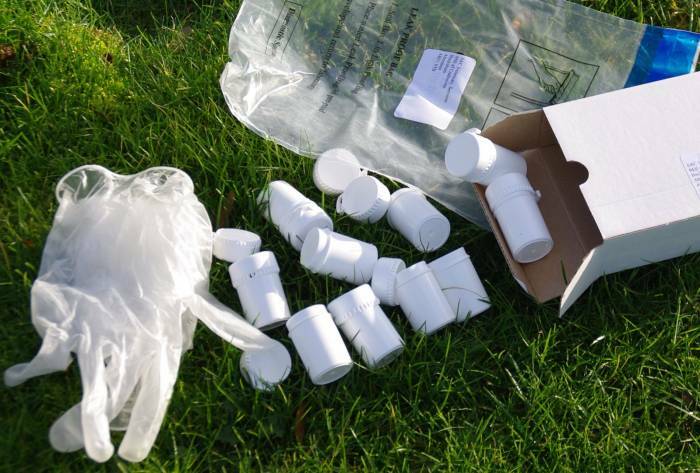 Dung samples should be fresh when collected (less than one hour old) and kept cool (not frozen) in an airtight container or plastic bag, before examination or delivery to the laboratory within 48 hours. If the faeces are too old, some eggs will have hatched and the reported egg count will be an underestimate. Sheep should be healthy and have had full access to pasture and/or feed before sampling, otherwise the FEC will be difficult to interpret. For this reason, FECs are used only for monitoring and not as a disease diagnostic aid. When parasitic gastro-enteritis (PGE) is suspected in cases where sheep are profoundly ill, a worm count as part of a post-mortem examination is a much more appropriate way to estimate worm burden. Samples must be taken at random. Do not try to pick and choose. Mob samples can be taken either by gathering sheep in the corner of a field for a few minutes, then picking up samples when they move. OR, carry pots/bags when out sheep herding and take a sample as lambs get up. Interpretation of an FEC is quite complex and depends on a number of factors you should discuss with your vet or adviser. The figures below are only a guide for lambs on farms without a problem with Haemonchus contortus. Download this information in a handy SCOPS guide. 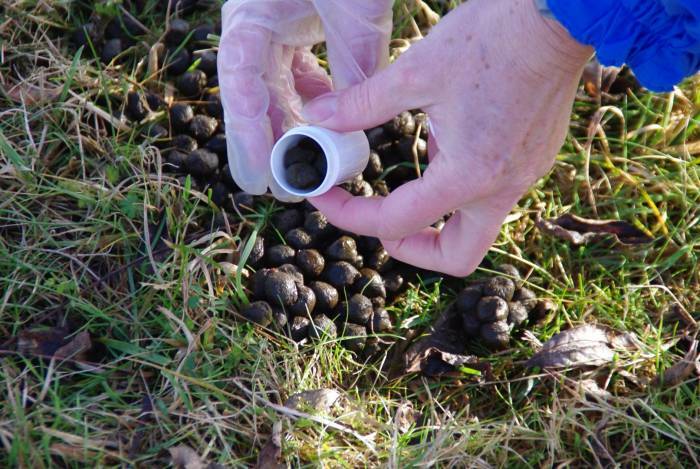 Dung samples must be fresh for FECs. Take samples from individual animals or on a mob basis.